Imagine having one giant database of every action every user has ever taken across all your channels: every product they’ve bought, page they’ve seen, email they’ve opened, link they’ve clicked, Facebook post they’ve shared, phone call they’ve made. Now, imagine having the ability to ask any questions you want about these users through a simple user interface and without writing any code. Welcome to Cooladata! 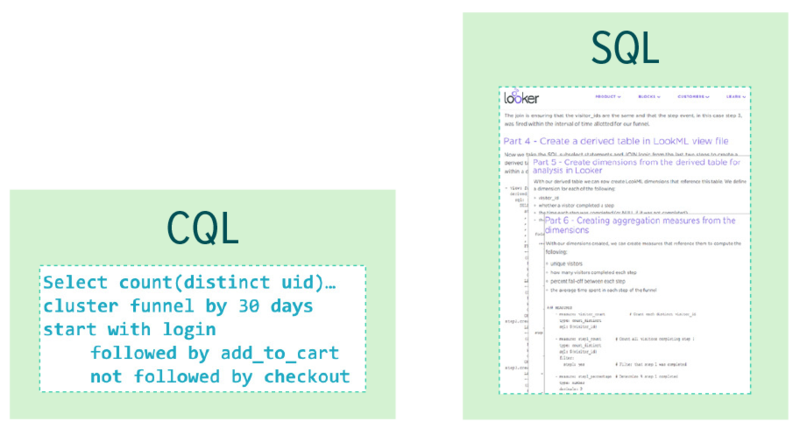 CQL is Cooladata’s proprietary SQL extension, optimized for behavioral analysis. You get all the power of SQL with only 20% of the code. Write CQL queries in our platform, through our API, or our easy-to-use visual query builder. 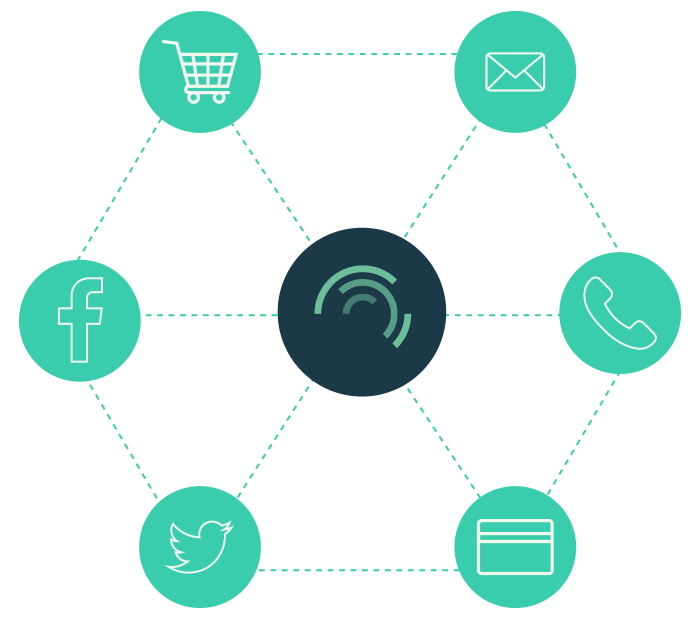 Understand at a glance what your users do on all their devices across all your channels (online and offline.) Visualize your data however you want, and slice and dice it to reveal what’s working and what isn’t. Get a complete picture of every interaction your customers have with your brand, online and offline. Cooladata lets you unify all your data sources so you can see the entire customer journey, not only what they do on your website. Segmenting users based on their behavior and analyzing how they move down your funnel can lead to extremely valuable insights. Learn where they get stuck, why and what you can do to maximize your conversion rates. See how different user groups behave over time and uncover new opportunities to increase your revenue. Understand when and why your users are churning, and develop informed strategies to increase engagement and retention. Isolate the users who reached your goal — like a purchase or quote request — and visualize the paths that got them there. Discover what these users have in common so you can acquire more of them, and optimize your assets to boost your conversion rates. 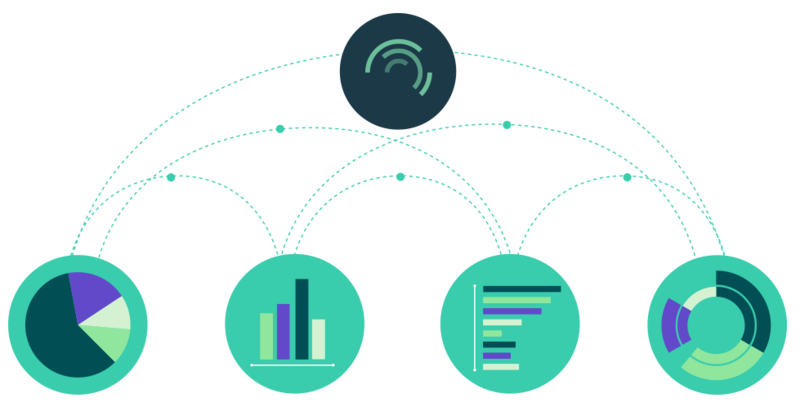 Segment your data using standard dimensions — like country or traffic source — or your own — like users who make in-app purchases. Then, get a list of your best- and worst-performing segments within each dimension to see what’s working and what isn’t. You can even create custom metrics — like engagement score or lead score — to measure everything that matters to you. With Cooladata, you have access to every action your users have ever performed across all your properties. You can ask any questions you want and get instant answers. 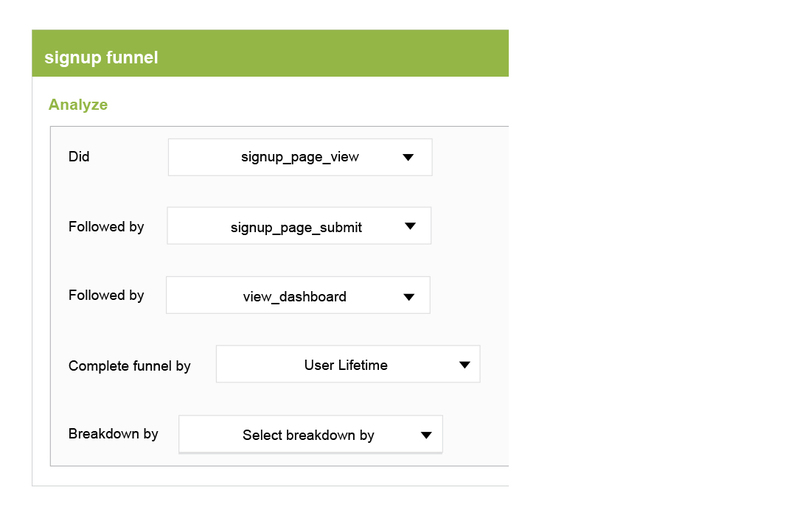 You can segment your users based on any criteria you want. You can also export these lists, or send them to any of your other tools via our API. Analyze the performance of all your channels in one platform and understand how to allocate your ad budget to maximize ROI. See what ad types, offers and audiences perform best across all your channels and campaigns. 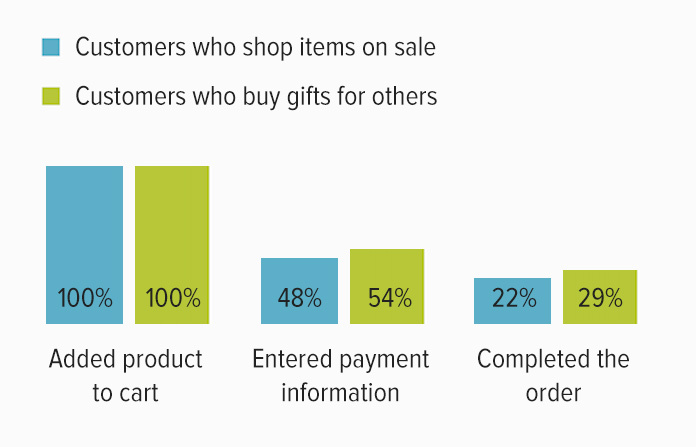 The deeper you dig into your customers behavior, the more you learn about what they want. 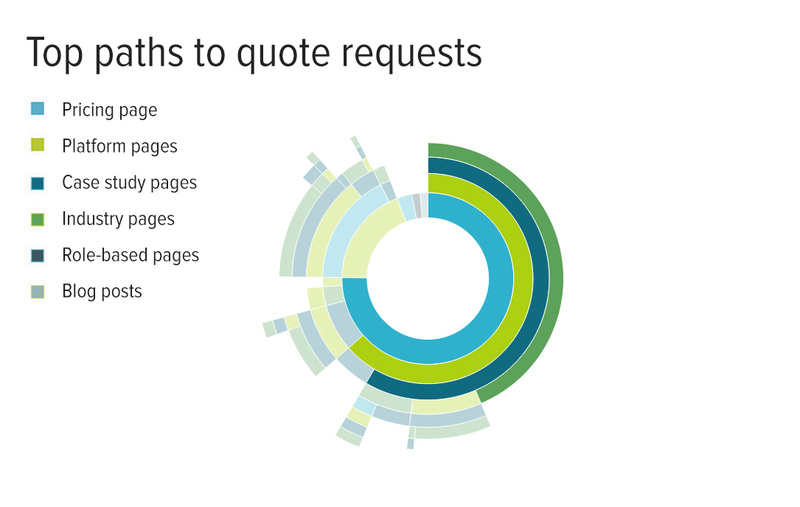 Cooladata lets you link multiple reports for a deeper level of insight. Pull a cohort report to understand week-after-week retention of new customers, and then click on a segment — like customers who signed up in April and cancelled in May — to understand who they are, where they came from and what they did before churning. Go beyond website clicks. Track & analyze data that matters. 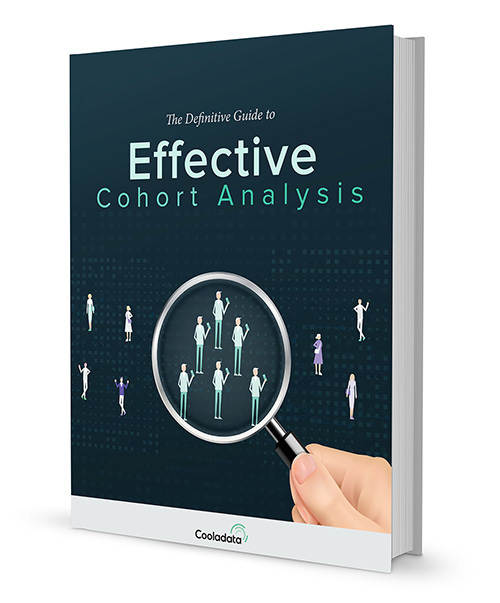 This guide is truly a one-stop shop for all things cohort analysis. Download the guide and you’ll learn how to take your optimization to new heights and understand your customer/user behavior like never before.